I was born 1940 in San Francisco house. A mid-wife helped my mother, the house (a flat) was over my grandfather's Japanese confectionary store named BENKYODO. 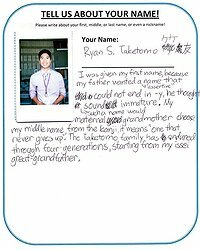 My mother & father named me as above TSUTOMU means "Studious" & Benkyo means study. In the old days, the aristocracy wasn’t always kind to regular people. In the various countries, my ancestors were from. For charity I was able to purchase a “ladyship” in Britain. 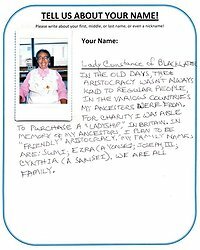 In memory of my ancestors, I plan to be “friendly” aristocracy. 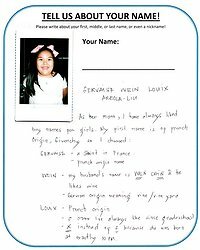 WEIN - my husband's name is WEN CHIN & tie likes wine. My parents arrived in Los Angeles from Okinawa in the ‘70s. 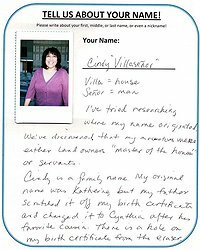 They never became fluent in English but when my mother, a hairstylist, had a client named, “Cathy” she fell in love with it. My mother said she simply liked how it sounded. 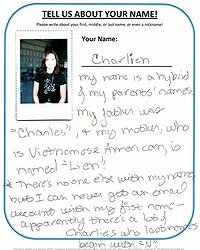 I was given my first name because my father wanted an assertive name that could not end in “-y.” He thought such a name would sound immature. I’m told that my Auntie gave me my first name, Helen, but I don’t know why she chose that name. I should find out! This means “one woman under a roof,” which can represent a sense of safety or peace of mind. 大 迫: Osako is a big valley. My name is a hybrid of my parents’ names. Leo is my full first name. I was named after my great uncle Leovardo. I’ve tried researching where my name originated. We’ve discovered that my ancestors were either landowners (“master of the house”) or servants. My birth name is June Murakami. My master, Splinter, named my brothers and I after Renaissance painters. I did the Sistine Chapel and many other amazing works. Nowadays, we fight the evil foot clan from the sewers of NYC. Cowabunga!!! What’s in a name? 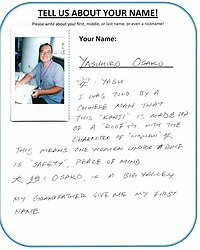 Share a story about your own (or someone else’s) Nikkei name or nickname. Check out the submission guidelines: 5dn.org/names. Deadline to submit: October 31, 2014 at 6 p.m. (PST). editor — 更新日 10月 15 2014 11:43 a.m.